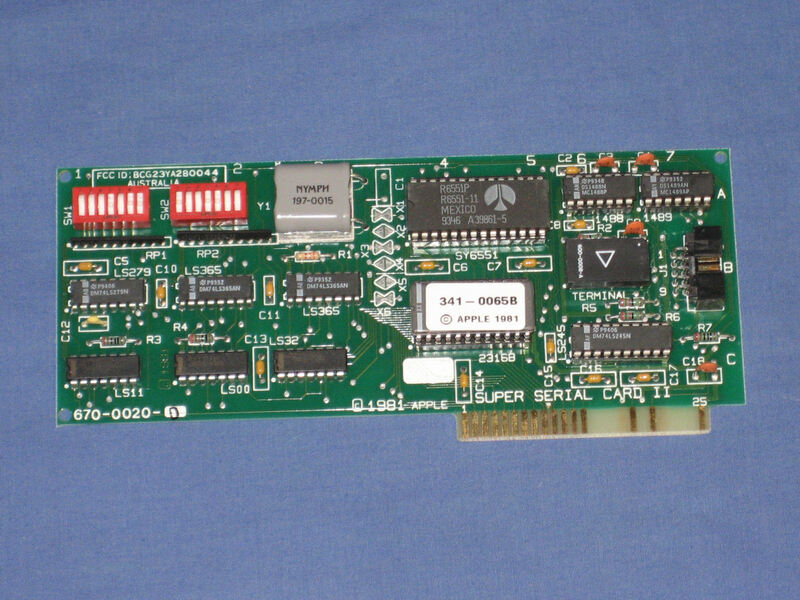 The Apple II Super Serial Card provides the Apple II family of computers with an RS-232-C serial interface for printers, modems, terminals, and other devices. Although compatible with the IIgs, it is not required as the IIgs incorporated two serial ports in its design. 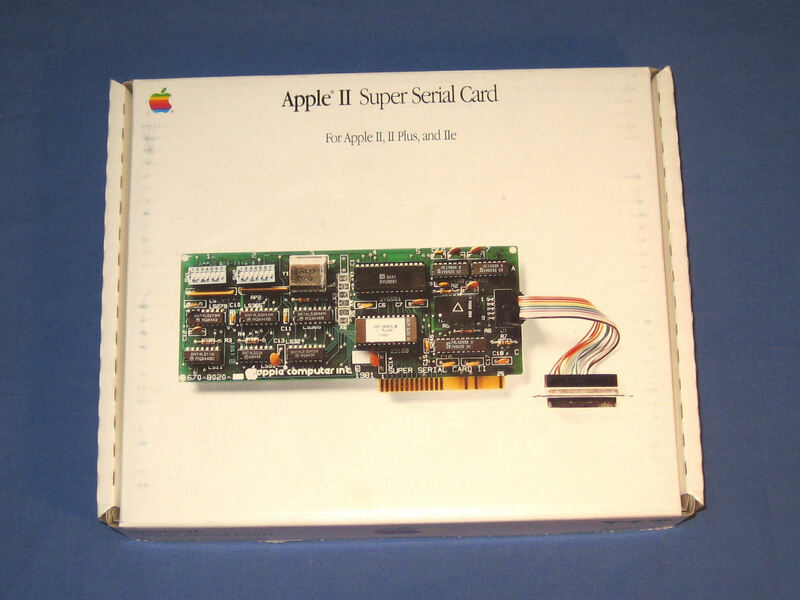 The box for the Apple II Super Serial Card. 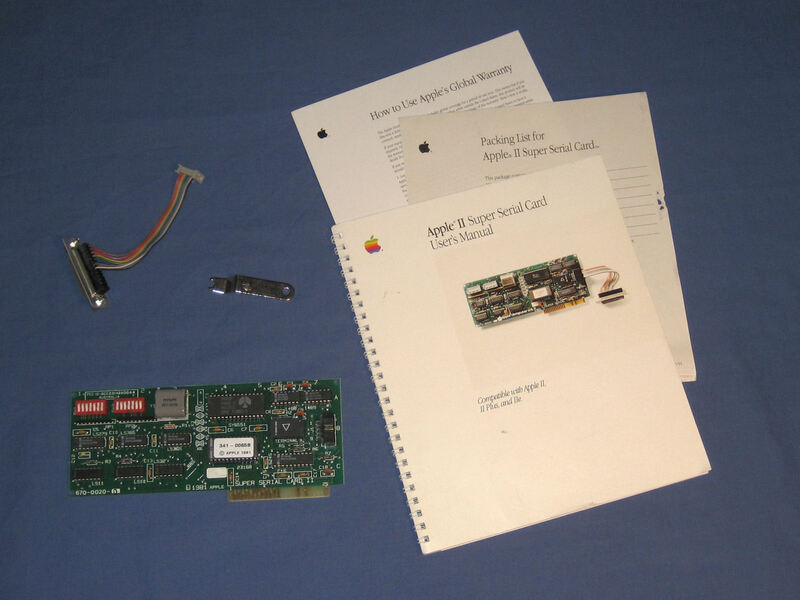 The box contains the card, connector cable, manuals, and a small apple branded wrench. The card itself. The two sets of DIP switches enable configuration of the card.